Leigh Duncan writes contemporary romance with a dash of Southern sass.? An Amazon best-selling author of eight books for Harlequin American Romance, Leigh kicked off the Glades County Cowboy series in May 2014 release with The Bull Rider?s Family, which won the prestigious National Readers? Choice Award and was nominated for Reviewers? Choice awards? by RT Book Reviews and CataRomance.? His Favorite Cowgirl continued the tale of the Circle P Ranch…and the hunky cowboys who call this south Florida ranch home.? The series which concludes with May 2015 release of The Rancher?s Lullaby.? 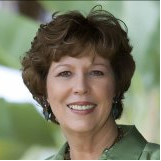 Leigh is a long-time member of Romance Writers of America and FL STAR, where she serves as the PAN Liaison.? To learn more about Leigh, visit www.leighduncan.com or follow her on Facebook at LeighDuncanBooks.